In typical Amazon style, the company is underpricing the competition. Online mega retailer Amazon is taking its business to brick and mortar -- sort of. Confirming reports published in January, the company announced it is indeed launching a credit card reader, called Amazon Local Register, which will allow local businesses to accept card transactions using a smartphone. 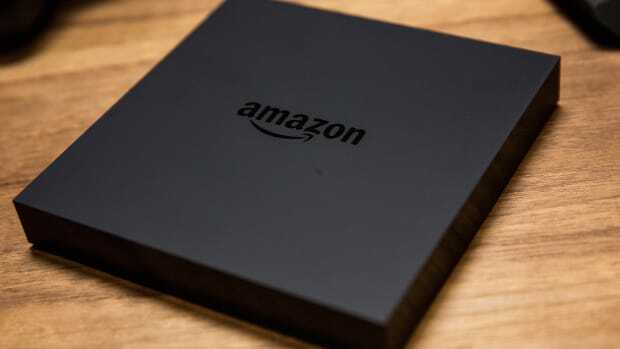 Amazon is entering a market currently occupied by Square and PayPal, which offer similar devices. But the retailer is setting its device apart by offering early adopters a low rate of 1.75 percent per card swipe until January 1, 2016. The device itself is $10, but Amazon will offset the cost by waiving the first $10 worth of swiping fees. The app is free. I know that the first time I ever dealt with one of these devices is when I first moved to New York and found a hair salon which used a Square reader; before that, living in the suburbs of Alabama and Florida, most small businesses were still dealing with standard card swipers or on a cash and check only basis. So while it might seem like Amazon is entering the game late, it&apos;s likely not. The company will undoubtedly benefit from name recognition and judging by its aggressive initial offerings, will also likely benefit from their ability to underprice the competition. The benefit for Amazon, of course, is all the data is will able to collect about shoppers from those transactions -- which it can then put to use every time they&apos;re back to shopping online. Amazon.com, already the biggest online retail company in the U.S., may be infiltrating brick-and-mortar stores very soon. Amazon is fast on its way to becoming the number-one apparel retailer in the U.S. while stores like Nordstrom and Macy's continue to struggle.